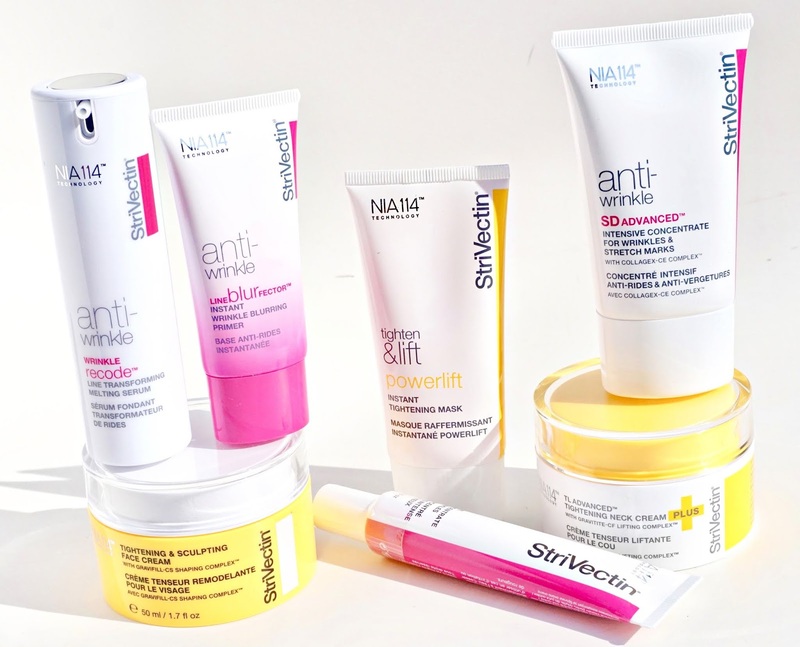 Skin care innovations from Strivectin. I remember when I first tried Strivectin; I was in college and my mom and I had begun our venture into advanced skincare. It was refreshing to find a product that worked on both of our skin types and we ran through multiple tubes with great satisfaction. Since then, the line has expanded beyond its original breakthrough formula to updated products targeted to specific skincare concerns. Thanks to sponsorship of this post by Strivectin and HSN, I had the opportunity to try out for free a few of the latest Strivectin launches, which are available for your purchase at HSN; in light of last week's major life announcement (and subsequent lack of sleep), I need all the potent skincare I can get my hands on! 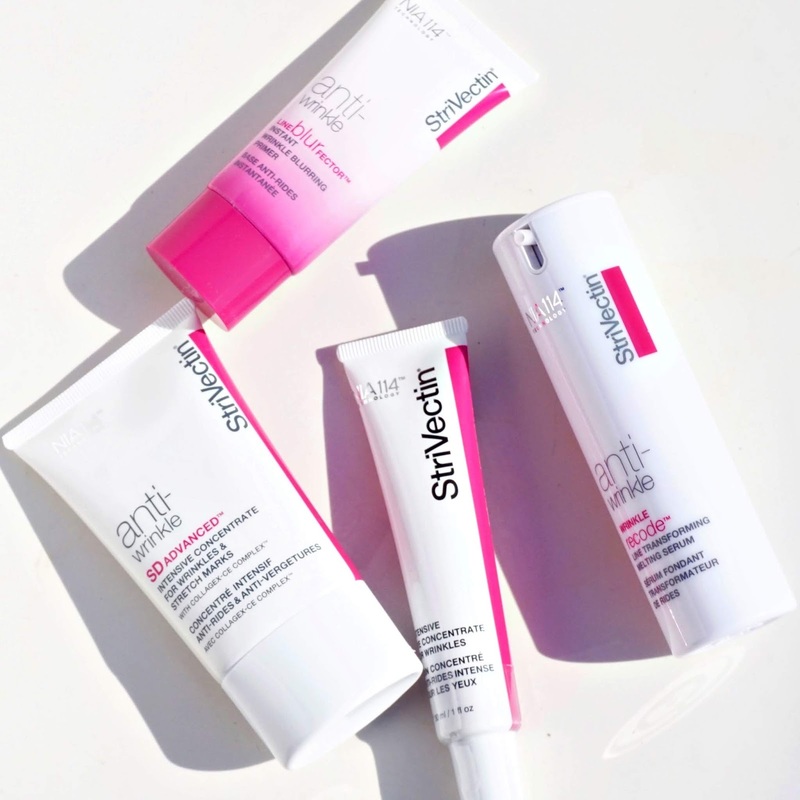 // THE RANGE // From deep hydration and powerful line fighters to flash firming and a multitasking eye savior, the Strivectin line has a formula for most skincare beauty concerns. *Strivectin Line BlurFector Wrinkle Blurring Primer: Suitable for all ages, this skin primer temporarily blurs fine lines and imperfections, adeptly smoothing skin for the makeup to come. The silky formula harnesses the power of Vitamin E and Evodia Fruit Extract to instantly fill the look of lines and pores for the most flawless canvas possible. I've been using it for the past week and am very pleased with the immediate results! *Strivectin SD Advanced Intensive Concentrate for Wrinkles: This particular formula--which is a stellar daily moisturizer with potent anti-aging benefits--is one of Strivectin's best-sellers. Rife with Hyaluronic Acid, Reservatrol and Peptides, the luxe and instantly absorbed cream helps to provide fresh, bouncy and incredibly hydrated skin. *Strivectin TL Advanced Tightening Neck Cream Plus: The reviews on this neck cream are very impressive and my experience has been equally positive thus far. The moisturizing formula, which contains nourishing ceramides and tightening licorice root--can be used on the neck and decollate alike, helping to visibly tighten while targeting signs of crepiness. *Strivectin Intensive Eye Concentrate for Wrinkles: Epitomizing the notion of a utilitarian eye cream, this weightless concentrate works well to hydrate, visibly reduce fine lines, reduce the look of puffiness and also minimize the look of dark circles for a bright-eyed effect, even when sleep is but a distant memory. *Strivectin Wrinkle Recode Line Transforming Melting Serum: Designed to target deep lines and wrinkles, this lightweight serum immediately hydrates while reducing the look of crow's feet and forehead lines, resulting in smoother, more radiant looking skin over time. *Strivectin Tightening Face Cream: To plump the skin, enhance elasticity and optimize skin's moisture levels, this face cream--which benefits from the inclusion of Amino Acids, Algae and slow-release Hyaluronic Acid--should be used morning and evening. 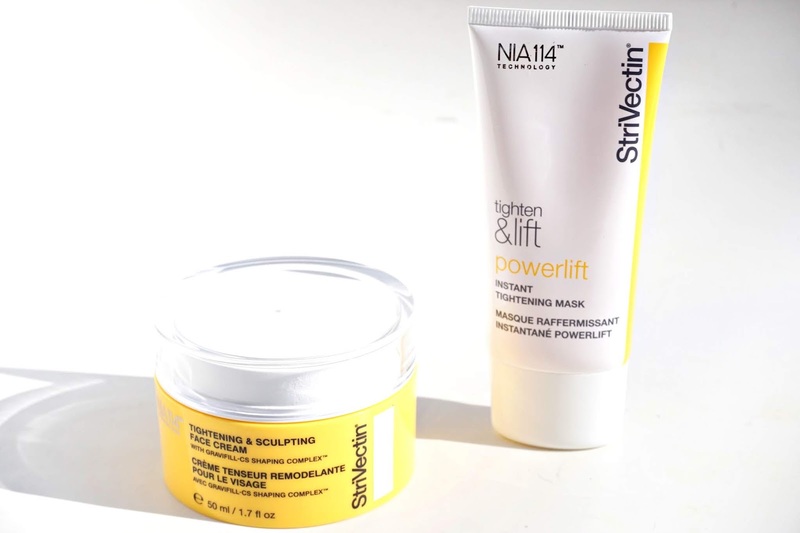 *Strivectin Powerlift Instant Tightening Mask: This 10-minute rinse off mask is formulated with the patented NIA-114 (proprietary to Strivectin) to instantly firm the look of skin. I love that it gives me a little "spa moment" at the end of the day and it can be used up to 3 times a week for radiant, long-term results. // THE BUNDLES // HSN currently has key bundles that make building a Strivectin routine accessible and economical. *Strivectin PLT Instant Mask & TS Face Cream: Designed to enhance the look of skin's firmness daily while offering an accelerating firming treatment option, this bundle includes both a cream and a mask. *Strivectin TL Advanced Tightening Neck Cream Plus Set: For those that are serious about improving the visual condition of their neck, his bundle contains a 1.7 fl. oz. Advanced Tightening Neck Cream Plus and a 1 fl. oz. 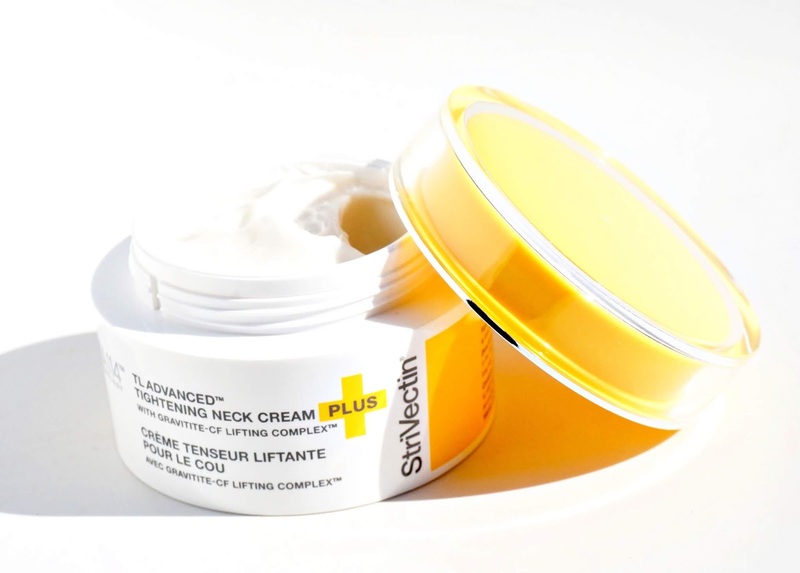 Advanced Tightening Neck Cream Plus. *Strivectin Wrinkle Recode and Power Pair: Perfect for individuals with an eye on anti-aging skin care, this bundle contains the SD Advanced Intensive Concentrate for Wrinkles, the Wrinkle Recode Line Transforming Melting Serum (1fl. oz. ), and the Wrinkle Recode Line Transforming Melting Serum (.25 fl. oz. ), which is excellent for travel. The *Strivectin Wrinkle Recode and Power Pair comes with two of the four products pictured here. 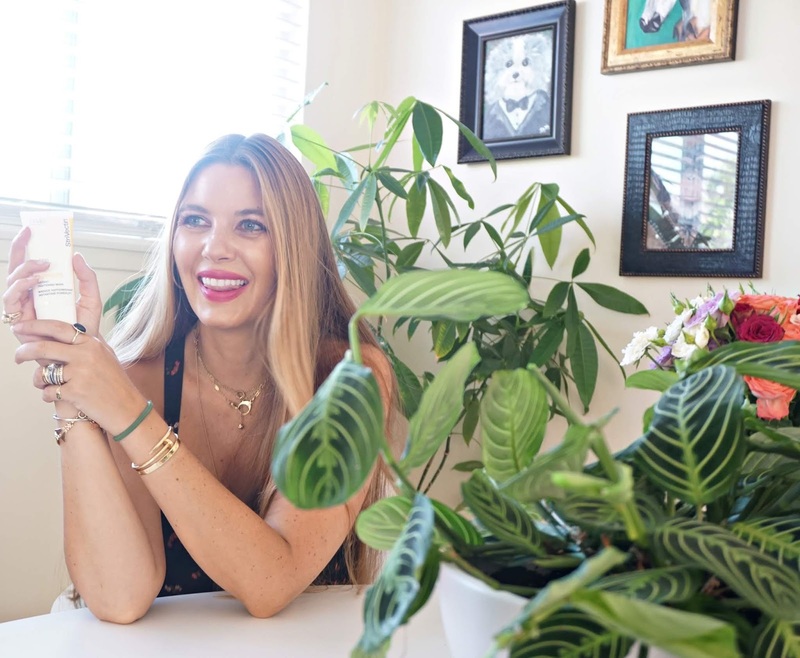 On mornings when my eyes are suffering from dark circles, puffiness and fine lines (which is basically daily, especially now), the *Strivectin Intensive Eye Concentrate for Wrinkles is an excellent option. I like to lightly pat the along my orbital region, taking care to gently press--rather than rub--the formula into my skin. Eyes appear brighter, firmer and "more awake." The *Strivectin Line BlurFector Wrinkle Blurring Primer works to prime and smooth skin before makeup application while blurring the appearance of fine lines. I even like to apply a bit of the *Strivectin Line BlurFector Wrinkle Blurring Primer a top makeup as a mid-day canvas retoucher...the clear formula seems to play well with my current base products. When I want to instantly help to firm my skin, especially at the end of a long and involved week, the *Strivectin Powerlift Instant Tightening Mask is a ten-minute wonder. 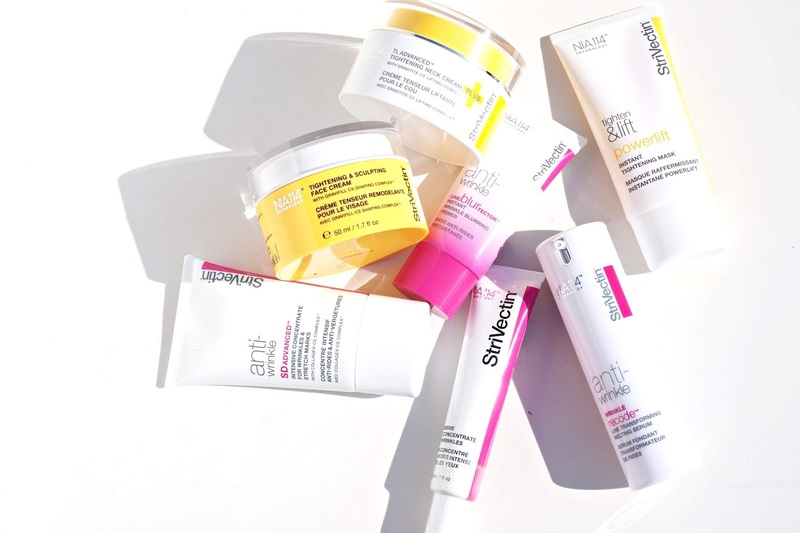 Bottom Line: The latest launches in the Strivectin range are excellent to target specific skin concerns and I am looking forward to continuing to integrate them into my super fast morning and evening skincare routine! 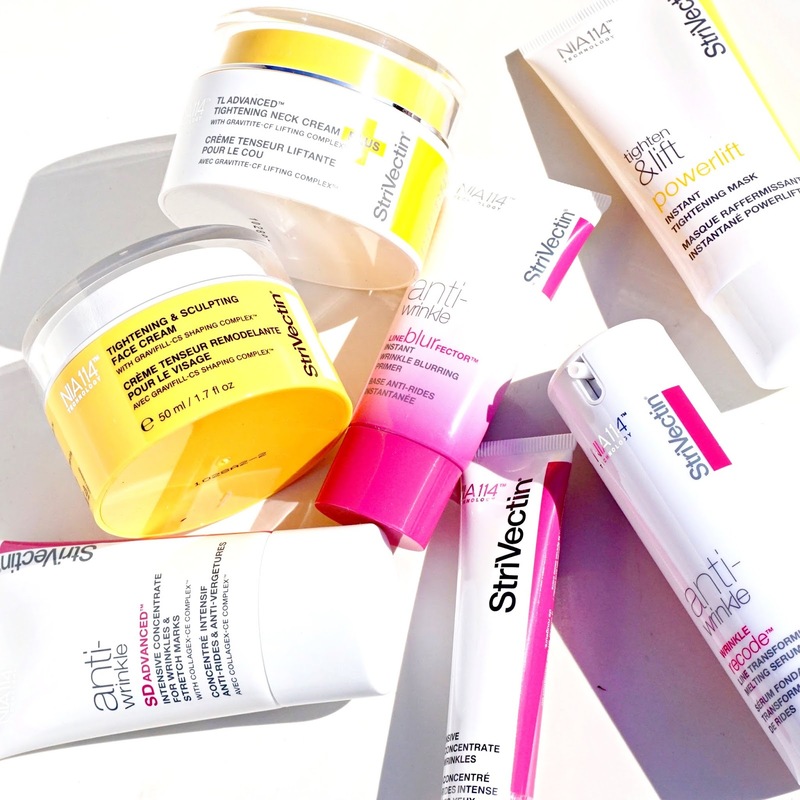 Have you tried Strivectin? Do tell! **Thanks to Strivectin and HSN for sponsoring this post. PR samples provided for review denoted by an asterisk (the rest purchased by me), however, as always, all of my opinions are expressly and unequivocally my own. © 2012-18 Beauty Professor® All Rights Reserved. Do not copy, reprint or republish content and/or photos without author's written permission.